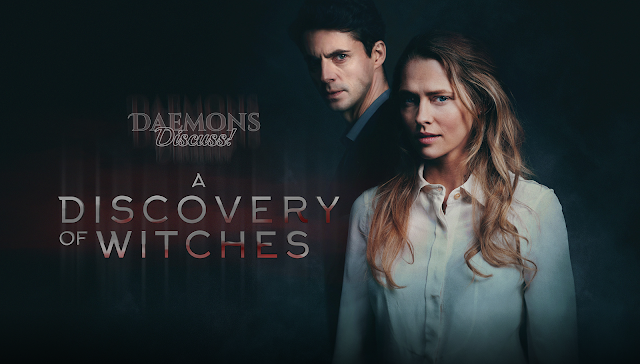 Our virtual watch sessions for A Discovery of Witches can all be found on this page. With the US release on Sundance Now and Shudder, and in April of 2019, the release of the show on BBC America and AMC Networks, we felt we should have an easy-to-find home for our TV review episodes. You've found it! Remember that you can take us with you on an app on your mobile device of choice; subscribe to Daemons Discuss! Listed below are our podcast episodes reviewing each episode, and more. The links will take you to where you can listen and see the show notes for each.